Yesterday I joined my husband Todd, on a visit to his uncle in the nursing home. A gentleman being rolled past asked his CNA to stop. He looked at us in Uncle Rog’s room where we were along with Mr. Snyder, Uncle Rog’s roommate. This gentleman, Frank, asked us if we’d pray for him. Todd said “Why sure! Come on in!” Then got up and rolled him into the room. Frank was soft spoken and difficult to understand, but his legs were causing him discomfort and he said were of “no use”. Todd said “let’s just pray right now buddy!” So, in that small room, 3 men in wheelchairs joined hands with us and we prayed. We prayed for healing, restoration and rejuvenation. We prayed that the God that can call dry bones to life would restore Frank’s body in comfort and purpose. We prayed the peace and joy of Christ over Frank. Frank was truly touched as we were blessed to have been used by God to lay hands on him and pray. We are not preachers. We are children of God though. We are called to love and to show His love. We are called to pray with and for one another and to exhort each other. In the room of these 90 somethings, are Bibles laid on their nightstands. Devotionals are beside them. In this room, these men pray for each other, help each other, and enjoy visiting with each other. In this room, visitors come seek good counsel from these men and share how the Good News of the Gospel has impacted their week. Those men don’t leave the message of Jesus in that room when they leave it. It rolls down the hallways with them. It rolls to the dining room with them. It even rolls to the nurses station with them. The message of the Messiah dwells in them. The promise and hope of the Messiah, dwells RICHLY in their souls. God sees to it that their lives serve purpose still, even though many think they are “done”. The battles, heartbreaks, and heart aches these two men of God have been through in nearly a century on this earth, have not dimmed the glow of the richness of the freedom rendering message of their Savior. In fact, their “shine” is brighter than ever! In this season of their lives, as they move closer to their eternal season of dwelling in Glory, they BLESS. Upon leaving the nursing home, I asked Todd if he knew Frank. Todd, who goes daily for precious visits with Uncle Rog, said unassumingly, “I’ve prayed with him a few times before.”…. God, thank you for my man! 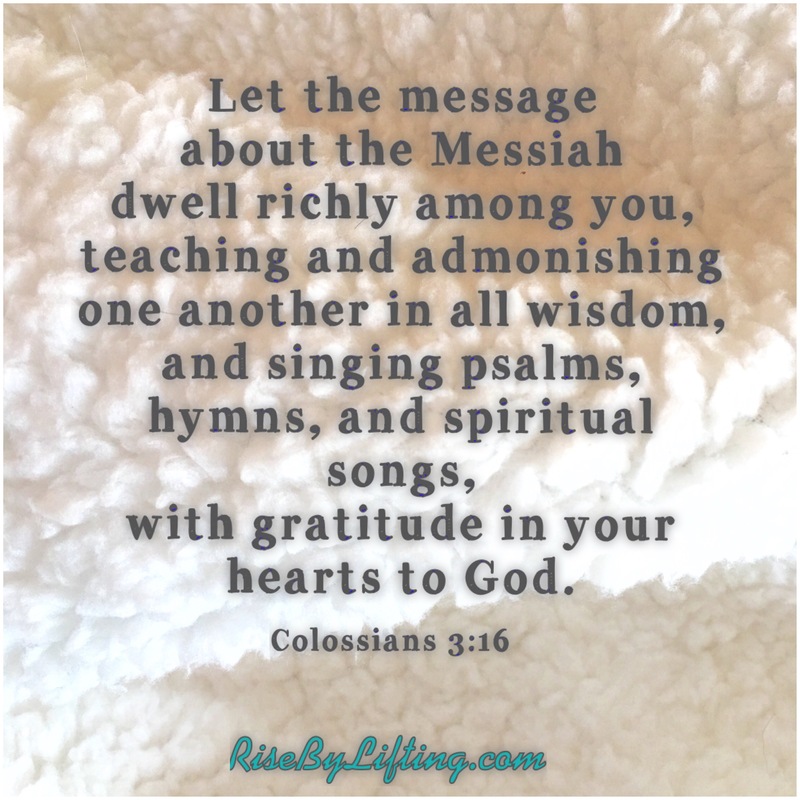 Be blessed and let the MESSAGE of the MESSIAH dwell RICHLY among you.